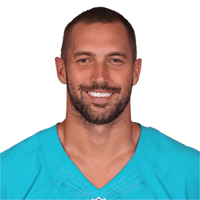 Published: Sept. 18, 2016 at 03:36 p.m.
Miami Dolphins QB Ryan Tannehill connects with tight end Jordan Cameron for a 12-yard TD. Miami Dolphins quarterback Ryan Tannehill finds tight end Jordan Cameron for 2-yard touchdown. Published: Nov. 22, 2015 at 02:37 p.m.
Dolphins quarterback Ryan Tannehill with a short pass to tight end Jordan Cameron for a 12-yard touchdown. Published: Oct. 18, 2015 at 04:09 p.m.